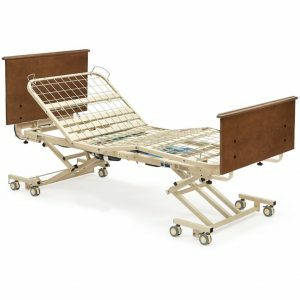 The innovative CS7 Hospital Bed has already become the industry standard for long-term care hospital beds. With an Auto Contour feature that simultaneously raises both the head and the knees, residents stay comfortably in place while being better positioned for reading, watching TV or talking to family members. The simultaneous movement also helps prevent painful skin shearing that might otherwise occur during repositioning. 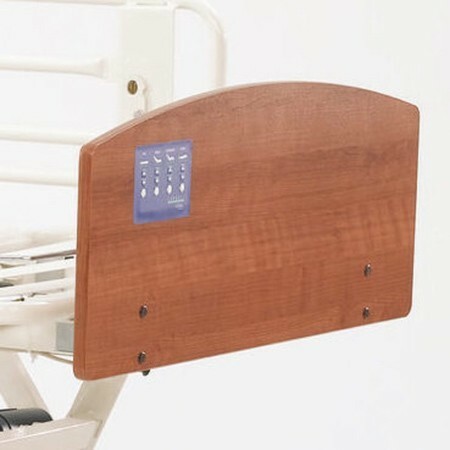 The CS7 Hospital Bed also features a Slat Deck which is an upgrade from the Grid Deck that most of the entry level frames have and provides better support and airflow for the mattress. 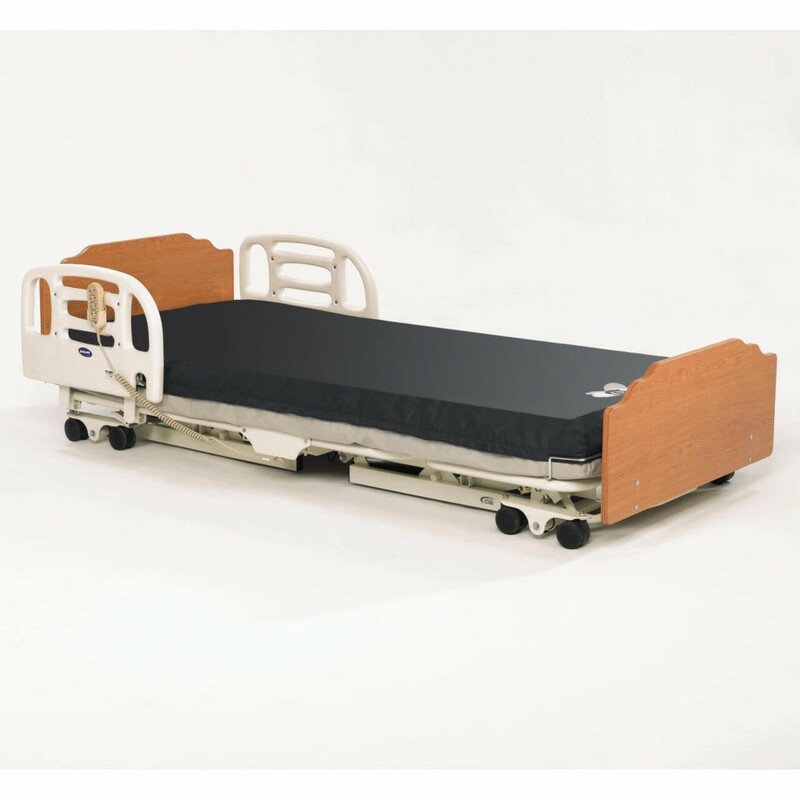 The Invacare CS7 is the ideal bed with it’s stability, easy controls and smooth raising and lowering of the head, feet and overall height of the bed. 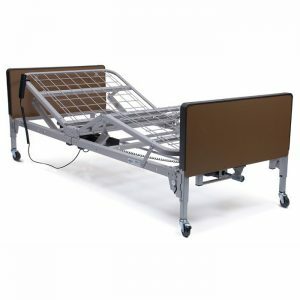 Hi Low Bed drops to 7″ height making it one of the lowest beds on the market and raises to 30″ at the highest setting. 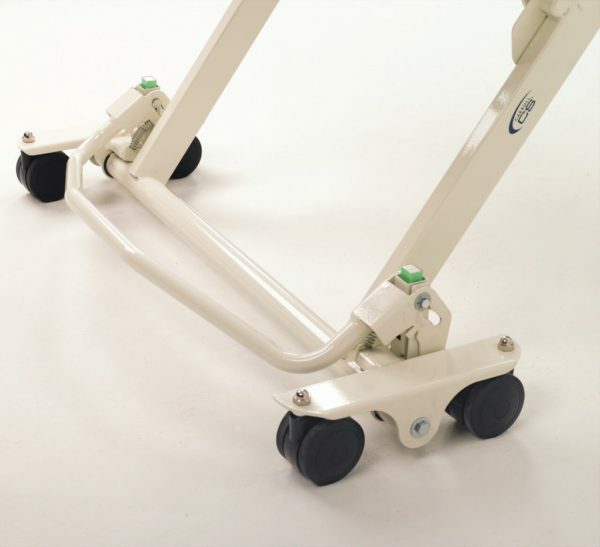 Auto Contour simultaneously raises both the head and the knees, residents stay comfortably in place while being better positioned for reading, watching TV or talking to family members. The simultaneous movement also helps prevent painful skin shearing that might otherwise occur during repositioning. 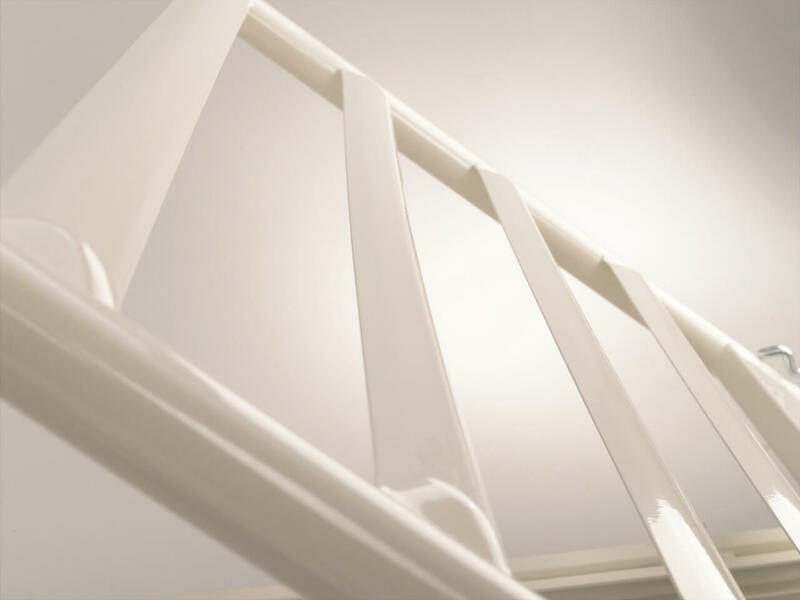 Floor lock system secures the bed to the floor at all height ranges but allows for Mobilty-On-Demand. 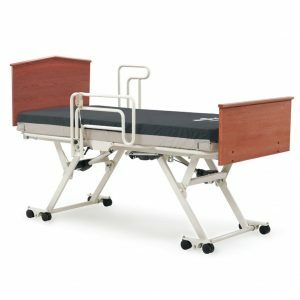 Caregivers do not have to wait for the bed to be raised to its full height before transporting or maneuvering. 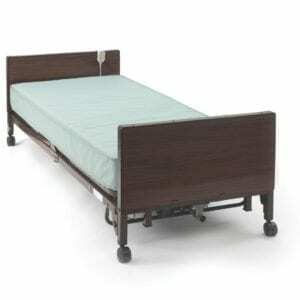 An easy to read indicator alerts staff if the bed is off its castors and not locked properly. Carroll CS beds feature a rugged Hand Control, with bright, universal symbols, allowing residents and staff to easily operate the comfort controls of the bed. Bed / Mattress Length gives you the option to extend the length of your bed and mattress to 84″ Long. Ideal for users over 6’1″ tall. Optional Control Panel with Trendelenburg (Custom Option will add approximately 4 weeks to delivery time) available with the Advanced Control Panel. 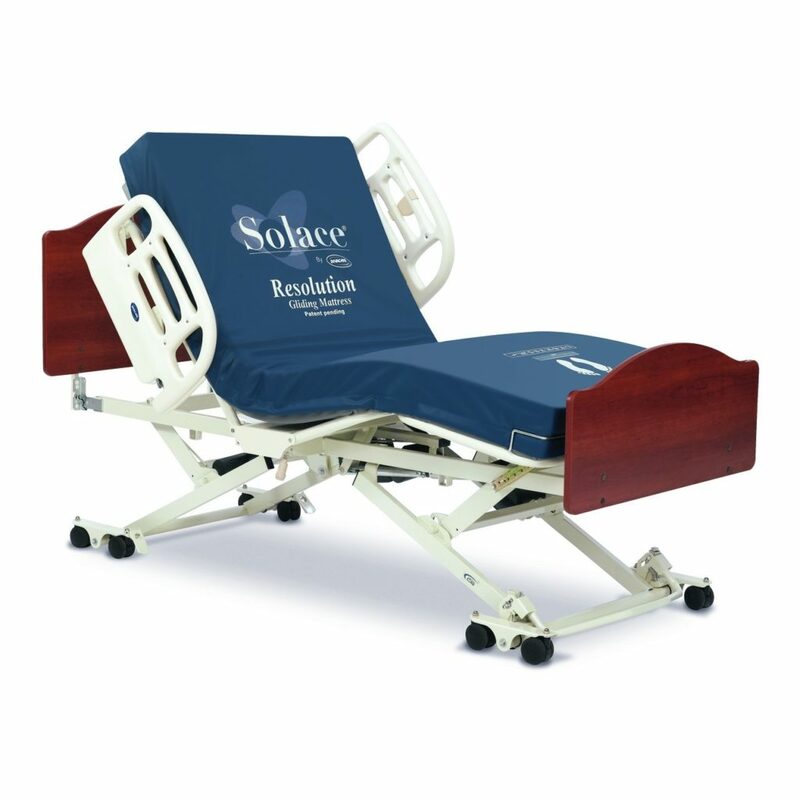 The Panel can only be used by caregiver for safe Trendelenburg positioning. Hand Pendant will also come with this option. 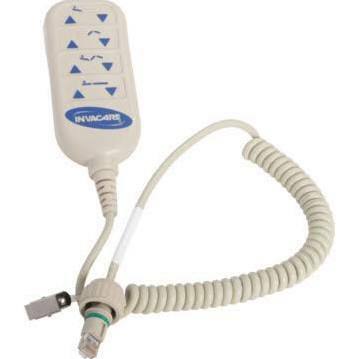 The control panel will give you the ability to lock certain adjustments on the hand pendant if you wish. Available in Solar Oak and Biltmore Cherry. 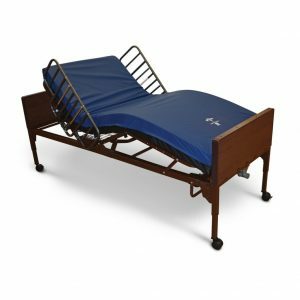 Height Range: 7" - 30"
Bed Size: 36" x 80", 84"